The Dominican Republic, an island of sweet rhythms and white sand beaches, is also the birthplace of Franklin Diaz. Franklin’s future was decided from the early age of 4. Falling in love with movement and sound, he taught himself to dance. He is the product of a musical family composed of instrumentalists and vocalists, nurtured by music of his culture. His passion for dance and complex musical structures was further broadened and challenged with his exposure to Flamenco, an art form of Southern Spain associated with the Gypsies of Spain. 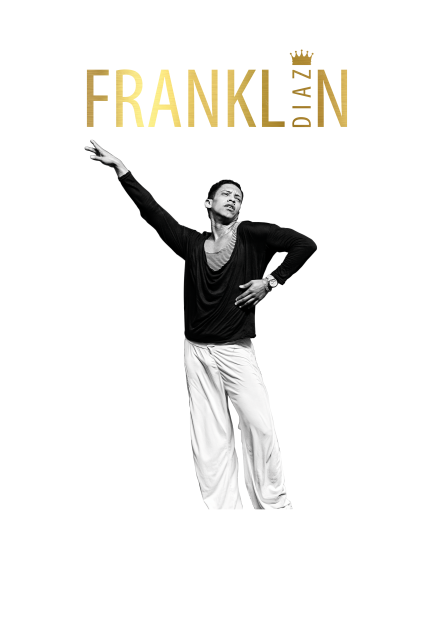 Franklin is well versed in various dance forms including Salsa, Afrocuban, Ballet, Modern and Flamenco. He creates a pelau, una ensalada, a salsa of unique flavours. He moves to music, transforming his body into an extraordinary instrument. Franklin has been defined as a force of nature, “un mito”. He has had the honour and pleasure of training under the watchful eyes of Jose Molina, Nelida Tirado, Jose Maya and Alfonso Losa (Flamenco), (Modern and Ballet at Alvin Ailey dance school), and Victor Pacheco and Eddie Torres (Salsa). He has traveled the world, nationally and internationally sharing the stage with renowned artists such as Celia Cruz, Tito Puentes and Fania All Stars. He signature performance style is sought after by promoters from China, to Argentina, to Tunis Africa to Morocco. As he receives accolades from peers, fans, dance enthusiasts and the general public, he continues to impress with his ever evolving style. His respect for his craft, his talent and his blessings are strongly linked with his spiritual life. He continues to foster his growth at every opportunity, always striving for excellence.